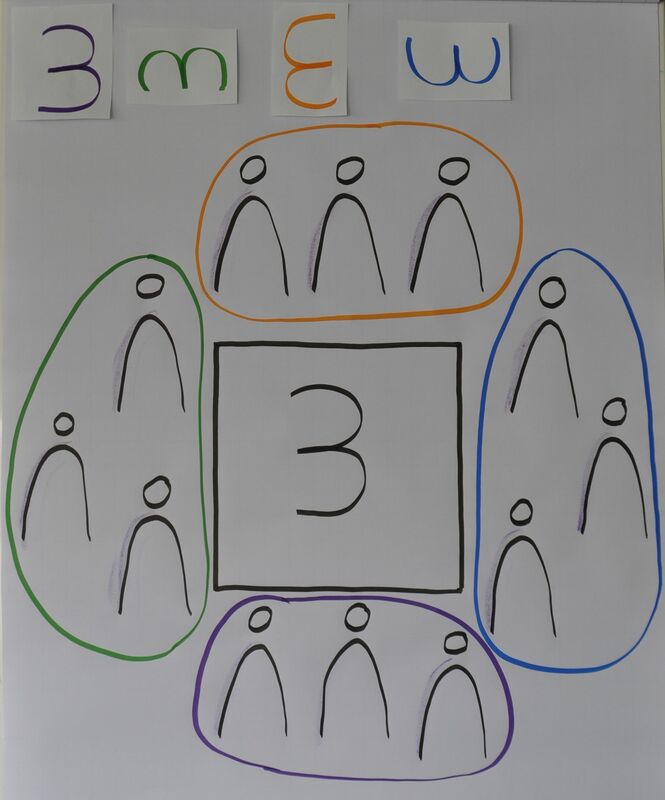 Last week I wrote about the „international“ part of the HR management congress in Berlin and mentioned my session on enhancing cultural awareness. Whether you’re working in a diverse or rather uniform team, an important skill from my point of view is the willingness and ability to change perspective from time to time. The world is not just black and white and we should acknowledge that there’s not always a „right“ and a „wrong“ way of doing or looking at things. You don’t need a lot of preparation or tools and this is a great eye-opener and easy to understand. Even when you speak the same language, communication isn’t always straightforward, depending on your own perspective and what you hear and understand. There was a man riding a balloon. And as it happens, the wind takes him to somewhere he doesn’t recognise. He’s never been there before, neither on the ground nor in the air. But he’s lucky. Down below, there’s a shepherd tending to the flock. 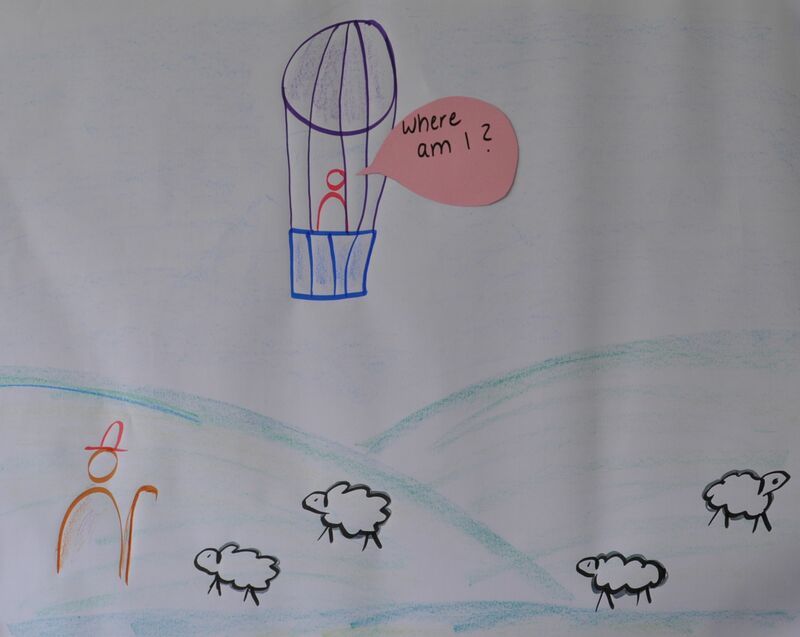 The shepherd will surely know where he is. So he plucks up his courage and calls down. It’s a simple, straightforward question. The shepherd looks up and answers. 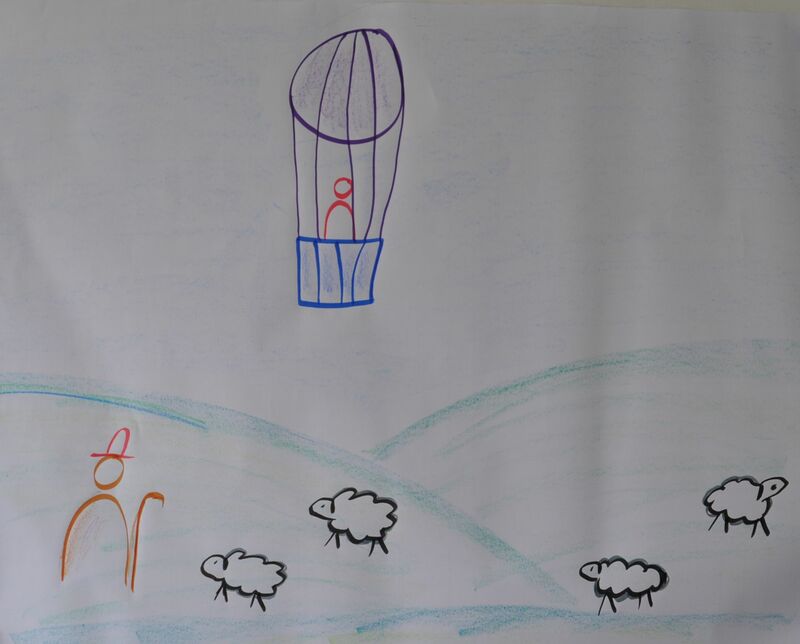 Of course the shepherd’s answer is „right“ – the man is in a balloon. But that’s obviously not what the man wanted to hear. Now, it can be hard having a conversation shouting to and fro, but this little story shows that sometimes communication needs more than just a „simple question“. 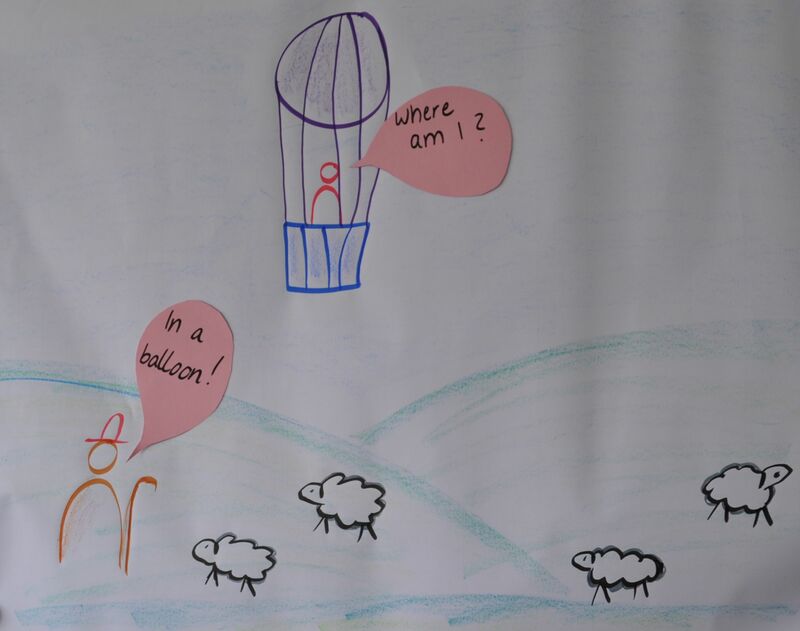 Instead of getting angry at the shepherd (or the colleague who never understands what he needs to do), we can try and find out the other’s perspective and continue communicating and asking questions with an open mind. Most of the time the other person doesn’t want to annoy us when giving an unexpected answer. Keep exploring and stay curious!